CodeClouds delivers innovative technology solutions to clients across the world. We use our extensive experience and creative process to take our clients web-based tools to new heights and empower them to outpace the competition. Built by developers for designers. El Minara offers powerful tools for direct response professionals to create fully functional ecommerce pages with zero coding experience. Get started with a template or use one of our pre-built themes which are ready to go with your content. You can even upload HTML files to create your own custom page! With various hosting options, domain management tools and support for third-party CRMs you can get up and running in no time. Listed here is a directory of companies that your pages will fall under. After setting up a company, the information entered will be made available for each funnel registered in the form of a token. This makes site updates a lot faster. Under the Owners section, you are able to list anyone who is directly involved in your listed companies. This information can be searched and located on request. El Minara includes a document management tool that can help you manage your business related documents. The documents can be stored, managed, viewed, downloaded, and annotated any time securely within El Minara. When running a business, it’s important that you keep track of all of your contacts. With the contacts section of El Minara, you will be able to enter in the details of your contacts’ and keep track of them in relation to your Co-Owners and Companies. Listed under the domains section is a list of all your domains set up with El Minara. With each entry, you will be able to quickly view the domains SSL & DNS status, support details, Funnel count and more. From the domains section, you can also add and edit your domains entries. 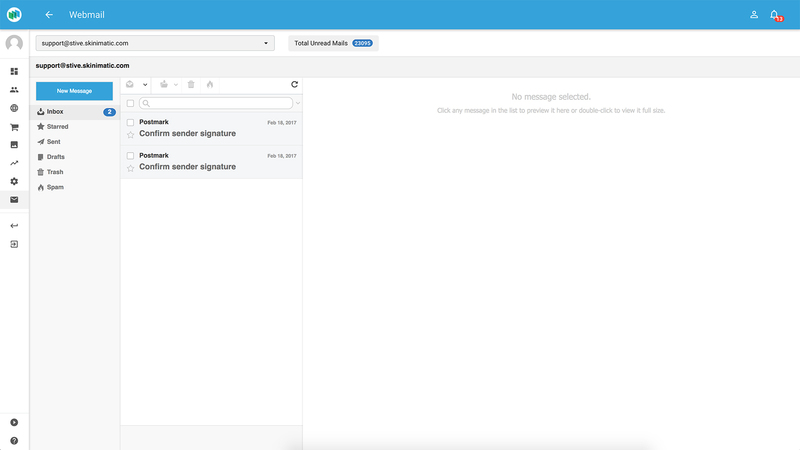 Under the autoresponders section, users are able to set up transactional responders and automatic email responders. Here you’re able to customize the templates with email & campaign tokens (placeholders). Under the funnels section, you will see a list of your current funnels. Each funnel utilizes and combines data from other sections of your El Minara account. When you set up a new funnel, you can independently select which domain, company, owner and product you would like to use along with a free theme. El Minara plugs this data into the HTML and builds you a fully functional conversion flow; from product selection to checkout. Under the shipping section, you’re able to either map your CRM’s shipping information or create your own. Each entry will have a price, shipping provider, and a descriptor name. When you create a product, select which shipping profile you would like to use. in order to update all of your shipping prices across your funnels more easily. This is where you can upload details regarding your products. When you set up a funnel, you link it to a product from the product section. This allows you modify the product image, price, shipping details and more without having to modify the funnels code. You can have a single product setup on multiple funnels across multiple domains. 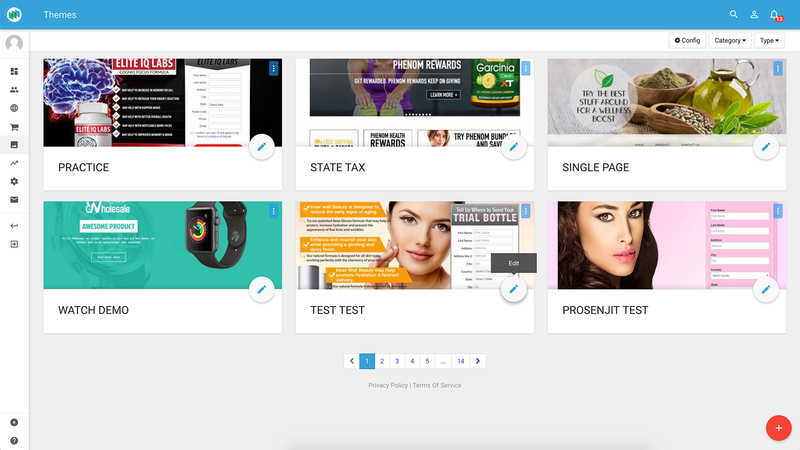 Under the themes section, you will see a large range of free themes that you can use with your funnels. These themes can be modified and updated to suit your style. El Minara also allows you to upload and use your own themes and template files. To make things simple, El Minara also includes many style-free options. These themes only include the essentials required to make funnel function - allowing easy and mindless builds. Under the media tab, you can upload, view and modify any media content you want to use on your sites. From your El Minara Dashboard you will be able to see a range of important reporting information. You will be shown any further action that is required from the user and will be reminded of any domain or SSL expiration dates as they arise. El Minara logs all actions regarding you and your sub-users. Under the activity tab, you are able to view and sort this activity based on sections and activities. 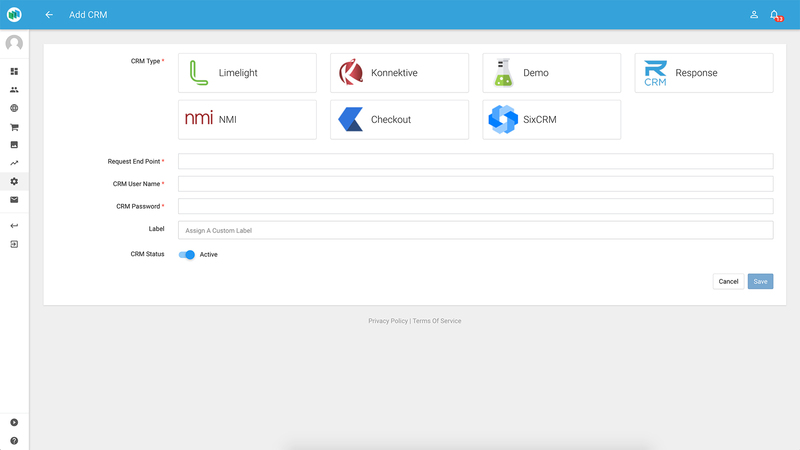 El Minara supports direct integration with Lime Light CRM, Konnektive CRM, and Response CRM. This simple integration allows you to get your funnels completely up and running and making money within minutes. El Minara provides you with the option of free shared hosting or the ability for you to use your own. Currently, US, UK and AU based server locations are included. 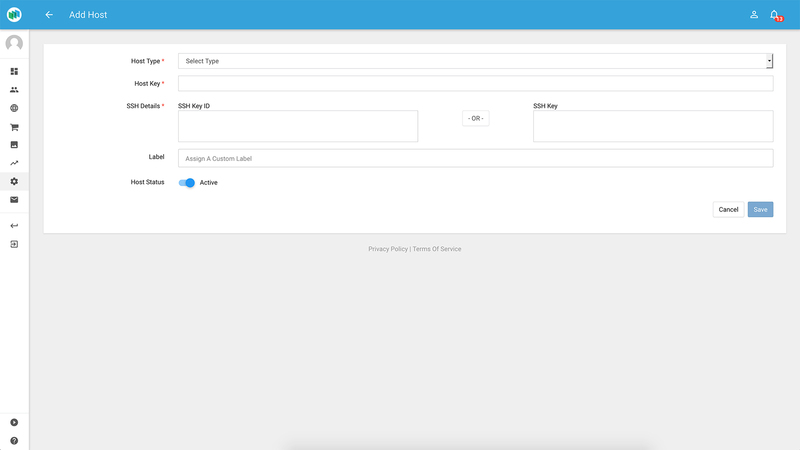 Additionally, you can integrate with your existing servers via FTP, WHM/cPanel, or SSH. El Minara currently supports direct integration with Digital Ocean, Vultr, WHM/cPanel and Plesk. El Minara can create and monitor your support emails automatically for the domains you use. You can also add existing email accounts to El Minara such as your Gmail account using IMAP/POP3. 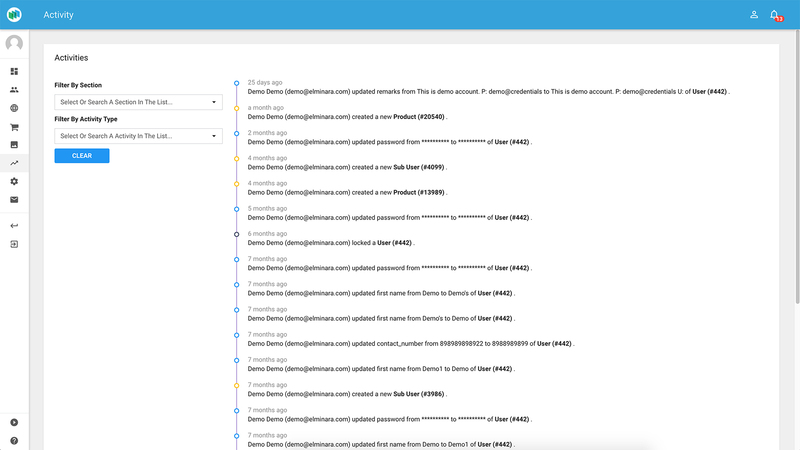 El Minara can merge all your email accounts together from across multiple domains and providers and show all your emails in a centralized place. You don't have to miss an important email again. Sign up for El Minara today and receive the free plan! No joining fee or credit card required. El Minara is a powerful Page Builder platform that offers numerous templates to create a personalized e-commerce website with no coding experience required. You can even create your own stylized template by uploading files or you can even get started with barebone template prototypes. Can I use my own domain name with El Minara? You can add your domains to a dedicated domain manager in El Minara. You’ll be asked to verify the ownership of the domain, once completed your domain will be ready to use. Which countries and currencies are usable with El Minara? El Minara has a list of all the countries/currencies in the database, however, you're free to choose the ones that you want to show on your e-commerce pages. El Minara can also auto detect countries and show currencies based on the data. If you want to know more, click and watch the tutorials. Thanks Sandeep! Your payment has been received and your account is now in the process of being created. You will receive a confirmation email shortly once your account is ready to go. Thanks for using El Minara!